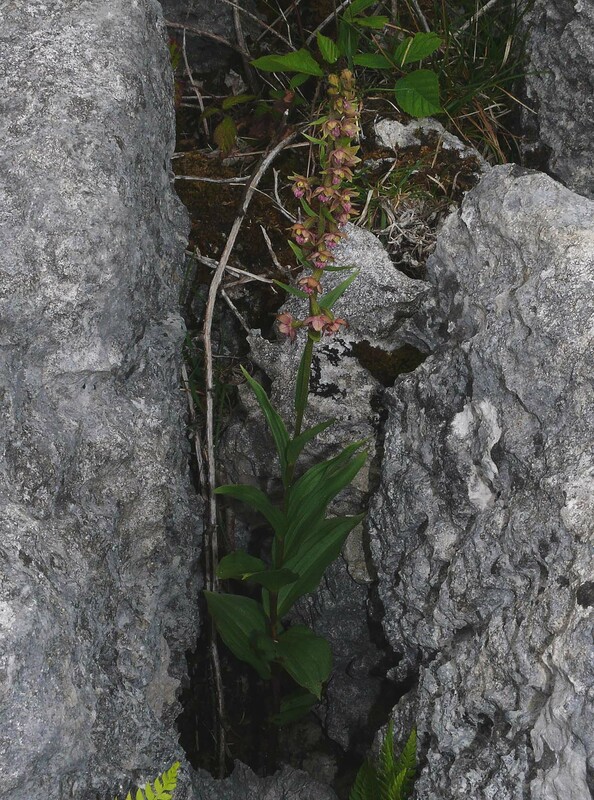 Both E. atrorubens and E. helleborine are well known and familiar orchids that were first described from Germany in 1804 and 1753 respectively. These two species have widespread distributions throughout the boreal and temperate zones of Europe, reaching as far as east as central Siberia. There are therefore large areas of continental Europe and the UK where these species grow in close association and where there exists ample opportunity for gene exchange. 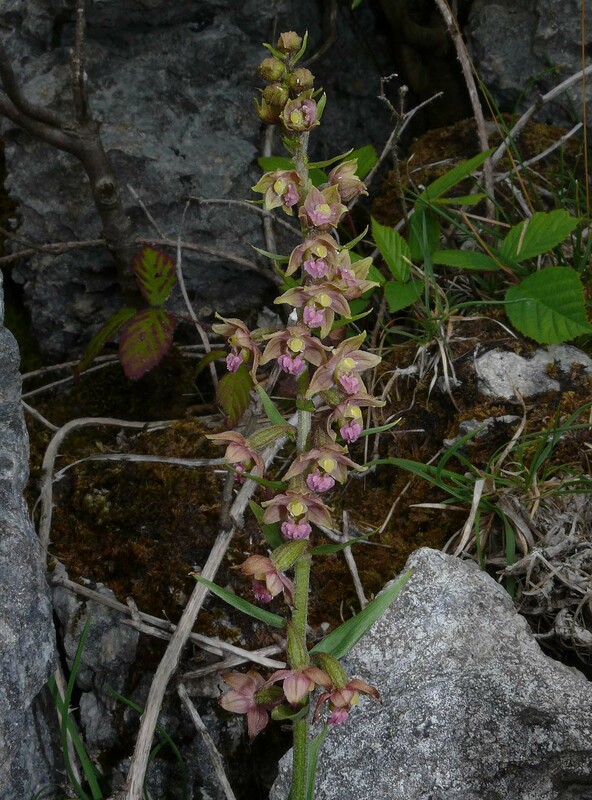 Whilst E. atrorubens occupies a more specialized habitat than its far less particular cousin, E. helleborine, the range of the two species overlap relatively frequently and most notably in lightly wooded calcareous uplands. 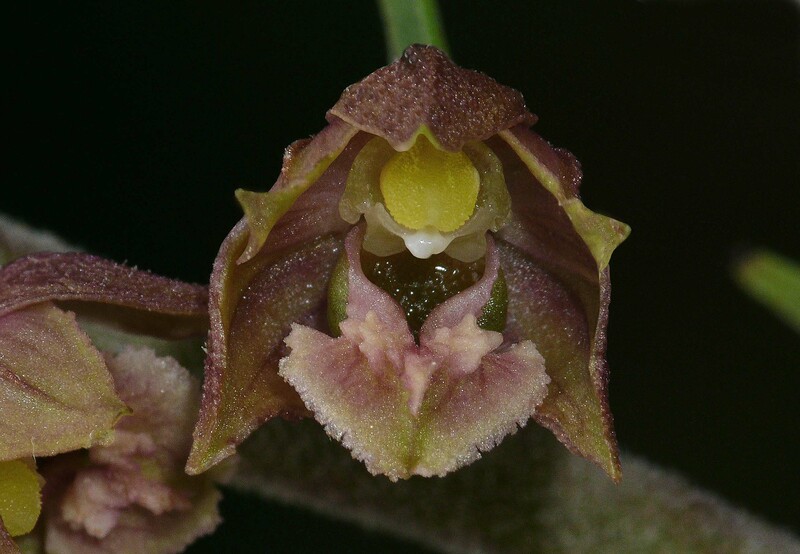 This hybrid was first described as long ago as 1890 by K. Richt and as with the two parent species, Germany was the location of its initial discovery. From that time, the plant has become well known and frequently observed, predominantly in central Europe and most particularly in Germany and Poland. 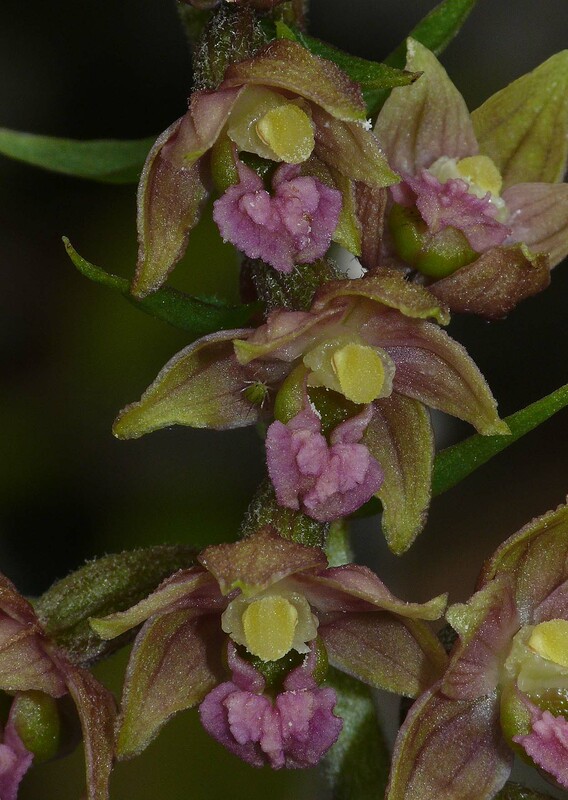 Its formal name is Epipactis x schmalhauseneii . 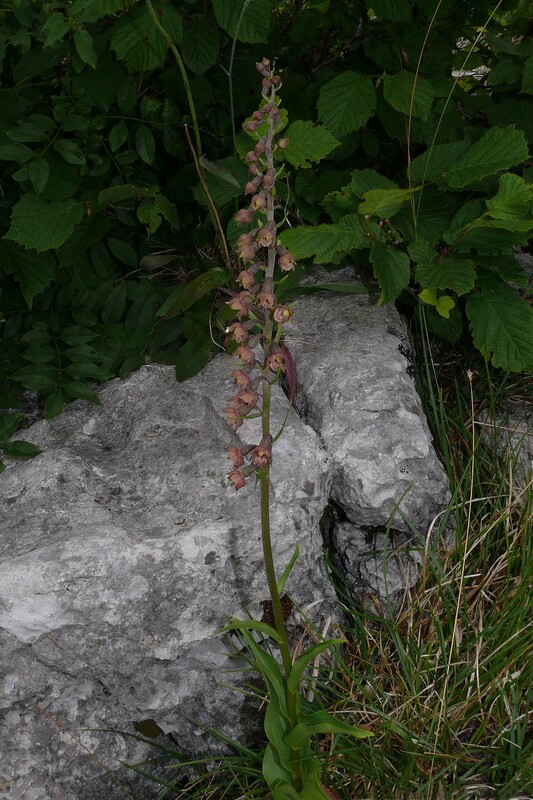 growing in small numbers amongst limestone pavement in south east Cumbria. At present in the UK it is still only publicly known from these two areas but it would seem unlikely that it isn't present in other suitable sites. The pictures come from north west England and date from the 20th of July.